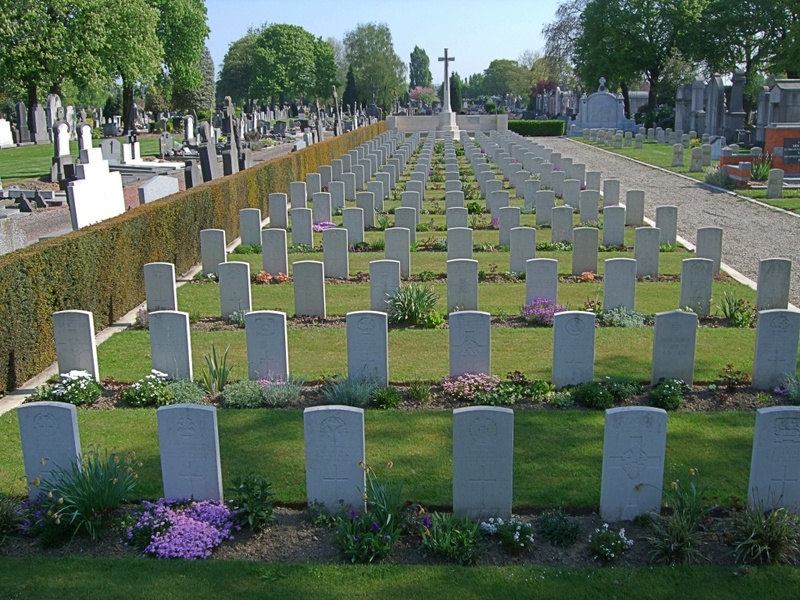 Tourcoing is a town in the Lille district and the Communal Cemetery is located in the village of Neuville, which lies between Halluin and Tourcoing. Leave Neuville on the D291 heading towards Tourcoing. Passing in front of the church, on the left hand side, the cemetery entrance will be found 200 metres from the church on the same side. The Commonwealth War Graves Plot is situated in the centre of the cemetery. This cemetery is closed each day between 12.00 and 14.00 hours. The 10th Stationary Hospital and the 8th and 10th Casualty Clearing Stations were posted at Tourcoing in November 1918, and for some months after. The cemetery was used by the enemy during the war and after the Armistice, officers and men who died in the British hospitals were buried in a plot in the middle of the cemetery. 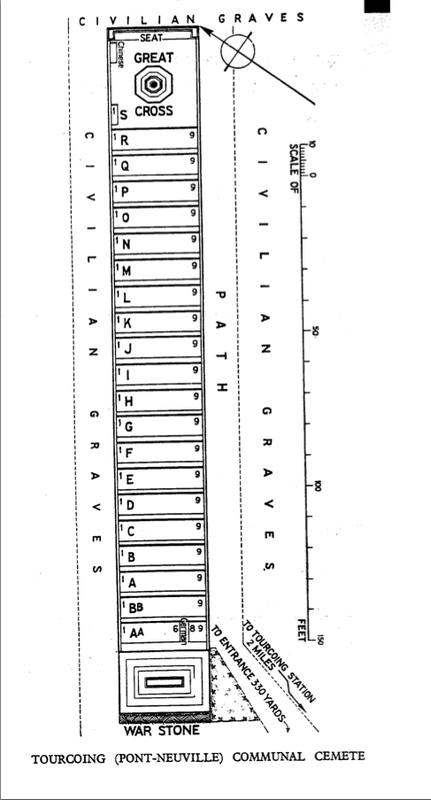 The 68 British Prisoners of War graves were then regrouped into the British plot. There are nearly 200, 1914-18 war casualties commemorated in this cemetery. Of these, a small number are unidentified. The cemetery covers an area of 755 square metres.